Exercise has been shown to improve the health and well-being of people who have survived cancer. Yet, less than 40% of cancer survivors in Australia meet the recommended 150 min of moderate-intensity physical activity per week. Our objective was to systematically review the literature regarding barriers, facilitators and preferences for exercise for survivors of cancer. MEDLINE, EMBASE, CINAHL, PsycINFO and Scopus were searched for qualitative and quantitative articles addressing barriers, facilitators and preferences for exercise in cancer survivors. Quality assessment was performed by two independent reviewers using the Mixed Methods Appraisal Tool. Thomas and Harden’s method of thematic synthesis was used to amalgamate qualitative data while descriptive statistics were used to collate quantitative data. Nineteen studies were included (9 qualitative and 10 quantitative). Persisting treatment-related side effects was the most commonly reported barrier to initiating or maintaining exercise, followed by lack of time and fatigue. The most common facilitators of exercise were gaining a feeling of control over their health as well as managing emotions and mental well-being, while the preferred method of exercise was walking. We also identified a lack of useful information provided to survivors regarding exercise. 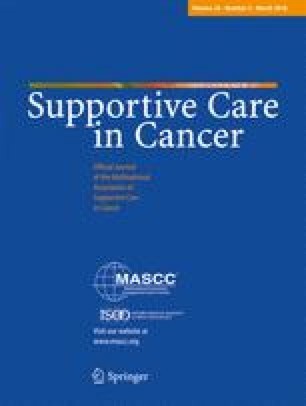 Treatment-related side effects, lack of time and fatigue were key barriers to exercise for survivors of varied cancer types. Insufficient patient education may contribute to the belief that exercise is not helpful when experiencing side effects of treatment, including fatigue. Identifying barriers and facilitators leads to improved support and education from health professionals which is required to provide safe and effective exercise recommendations for survivors. The online version of this article ( https://doi.org/10.1007/s00520-017-3964-5) contains supplementary material, which is available to authorized users. Claire Wakefield is supported by a Career Development Fellowship from the National Health and Medical Research Council (NHMRC) of Australia (APP1067501). The Behavioural Sciences Unit is proudly supported by the Kids with Cancer Foundation.